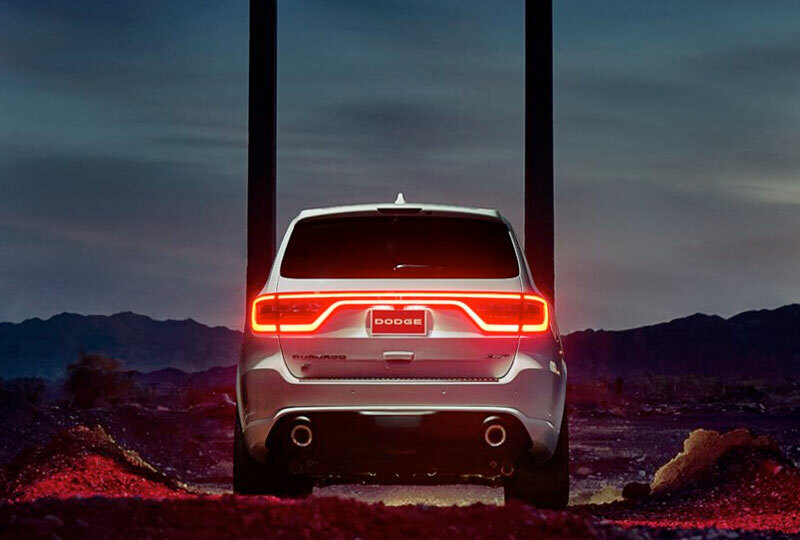 The 2018 Dodge Durango at Briggs Chrysler Jeep Dodge Ram in Lawrence, KS - serving Overland Park, Shawnee, Kansas City, and Topeka - exhibits the ideal balance of power and comfort with a bold engine and incredible convenience features. The modern design captivates bystanders with the signature LED racetrack taillamps and the floating split-crosshair grille. The standard 3.6L Pentastar V6 engine produces 295 horsepower for up to 6,200 pounds of towing capacity while the available 5.7L HEMI V8 engine offers 360 horsepower. Split-folding second- and third-row seating offers flexibility so you can hold any number of people or cargo. An available Uconnect infotainment system has navigation and phone integration all displayed on a single intuitive touchscreen display. Access your vehicle with ease, thanks to the standard keyless Enter-N-Go system. Eliminate boredom with the available dual-screen, Blu-ray entertainment system with a high-definition media interface. 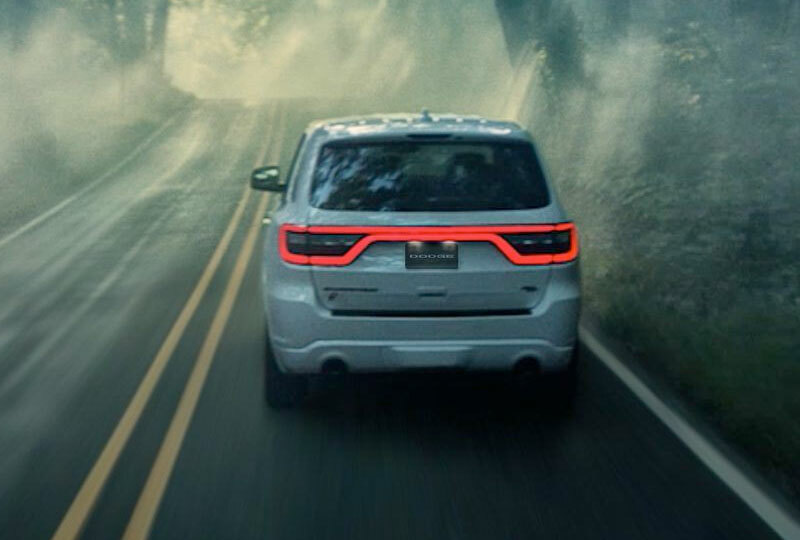 Drive home a new Dodge today from Briggs Chrysler Dodge Jeep Ram. We've got an amazing lineup of 2018 models, and new auto loan rates have never been lower. Take your test drive today at 2300 W 29th Terrace, Lawrence, KS, or call 888-693-1722 to schedule over the phone. Inspired by Dodge muscle, the standard class-exclusive LED racetrack taillamp10 consists of 192 individual LEDs blended to form one seamless ribbon of glowing red light. 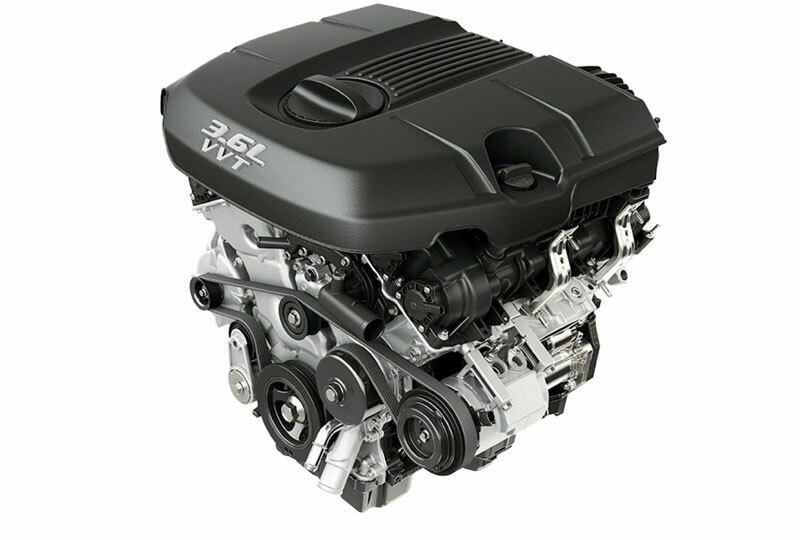 The 3.6L Pentastar® V6 engine can tow up to 6,200 pounds11. The available 5.7L HEMI® V8 engine produces 360 horsepower and delivers a maximum towing capacity of up to 7,400 pounds12 with up to 22 highway mpg13. If you decide to move up to the Durango SRT®, with the 6.4L HEMI engine, you get 475 horsepower, 470 pound-feet of torque and a Best-In-Class maximum towing capacity of 7,400 pounds. The available Blind Spot Monitoring System11 helps keep you aware of vehicles outside your peripheral vision by alerting you of vehicles entering one of your blind spot zones. It assists you when making lane changes. Let your crew enjoy more than the ride. 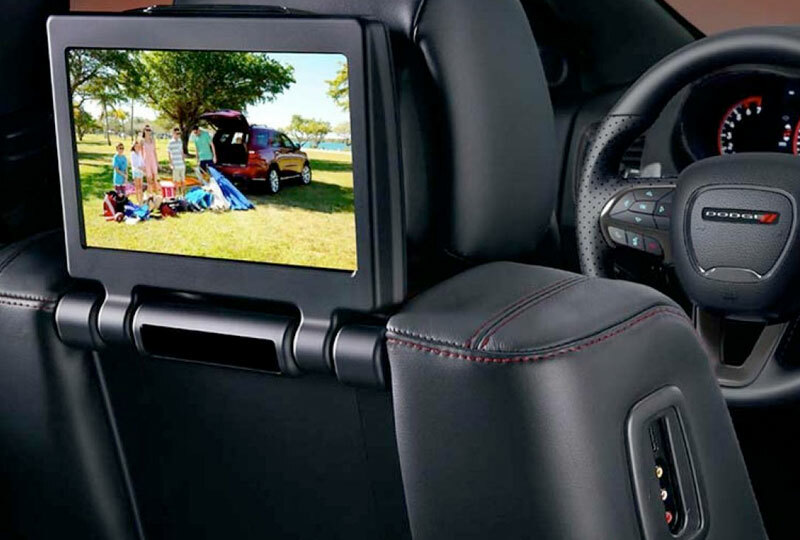 Pop in a Blu-ray™ disc for your second-row passengers with the available class-exclusive21 9-inch dual-screen Blu-ray Entertainment System22 with High-Definition Media Interface18 (HDMI). 9. When properly equipped. See dealer for details. 10. Based on the 2016 WardsAuto Midsize Sport/Utility Vehicle Segment. Excludes other FCA US LLC vehicles. 11. When properly equipped. See dealer for details. 12. When properly equipped. See your dealer for details. 13. EPA estimated mpg with 5.7L engine and eight-speed automatic transmission. Actual mileage may vary. 14. Based on the WardsAuto Middle Sport/Utility Vehicle Segment. Excludes other FCA US LLC vehicles. 18. Vehicle video screens are standard definition. 21. Based on the 2016 WardsAuto Midsize Sport/Utility Vehicle Segment. Excludes other FCA US LLC vehicles. 22. When properly equipped. Video available only on front screen when vehicle is in park.